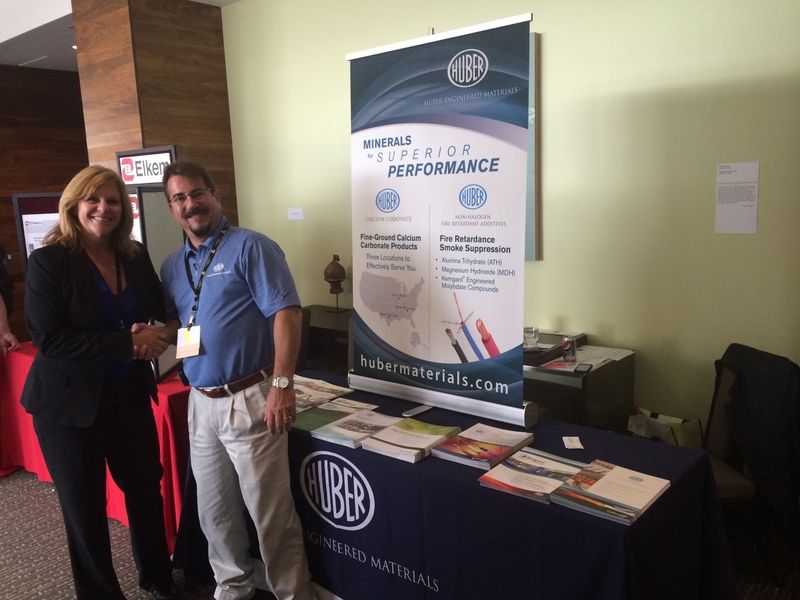 Huber Exhibiting This Week at Vinyltec 2014 in Indianapolis! Huber’s Stan Kramer (right) visiting with a Vinyltec attendee. This week we are in Indianapolis exhibiting during the Vinyltec 2014 Conference! We enjoyed a successful day yesterday meeting with attendees and are at it again today talking about our high-performing calcium carbonate extenders and fire retardant additives. For calcium carbonate, we are discussing our fine-ground calcium carbonate products available from Huber’s three convenient U.S. locations: Marble Hill, Georgia; Quincy, Illinois; and Marble Falls, Texas. Our non-halogen fire retardant additives offer outstanding flame retardance and smoke suppression as we offer a number of alumina trihydrate (ATH) and magnesium hydroxide (MDH) products and Kemgard® molybdate compounds. We thoroughly enjoy going out and meeting “live” with our current and prospective customers at events like Vinyltec. We look forward to meeting and seeing you soon! 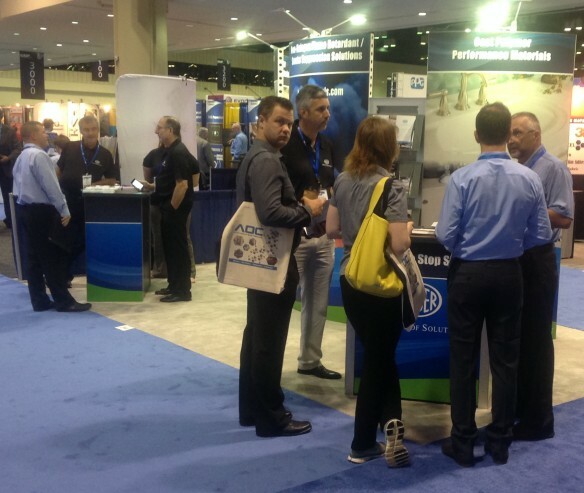 Huber Enjoying Successful CAMX 2014 Event! Hustle and bustle the words for Huber’s booth this morning at CAMX 2014! The Huber booth was extremely busy this morning at The Advanced Composites and Materials Expo at the Orlando Convention Center. We are exhibiting in booth 2944 and discussing our high performing Non-Halogen Flame Retardant and Smoke Suppressant Solutions; Calcium Carbonate Extenders; and Cast Polymer Peformance Materials. We are excited to be discussing new products with our MoldX® Optimized Alumina Trihydrate (ATH) and Granite Elite® brands. We cordially invite you to stop by and visit with us!